Chemical and Biological Engineering Professor Savvas Hatzikiriakos has won the 2014 Canadian Society of Rheology Stanley G. Mason Award. Join us on Nov 27 to learn how UBC students can help empower women and youth in India through the new Global Connectivity E-Mentorship Program. Find out how engineers save the world at UBC Engineering Open House on November 29, 9am-3pm, in the Fred Kaiser Building. FloBeau, a UBC undergraduate team has won 1st place in the Environmental Division of the WEFTEC Student Design Competition held in New Orleans. 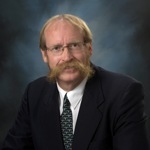 Congratulations to Dr. Curtis Berlinguette who was recently appointed Canada Research Chair in Solar Energy Conversion. Berlinguette leads a research team working on solar energy conversion that is designing new materials to convert sunlight into electricity, and finding economically viable ways to store the energy in clean hydrogen fuels. Congratulations to CHBE Professor Dr. David Wilkinson (on the right) who has been elected to the Fellowship of the Royal Society of Canada in recognition of his contributions in advancing knowledge and scholarship in Canada. He joins Drs. Grace and Haynes who are also RSC members. Dr. Curtis P. Berlinguette was among 13 new UBC Canada Research Chairs recently announced.